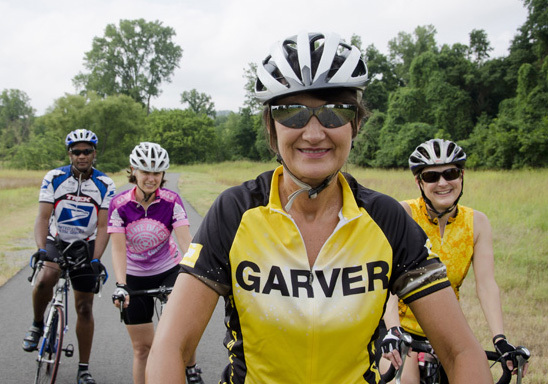 Patricia Edwards, center, uses her lunch break to take a bike ride with coworkers. 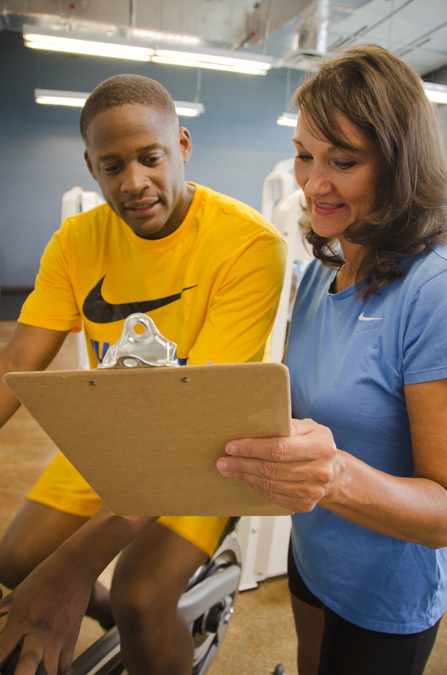 Garver's latest investment in employee health and wellness is Wellness Director Patricia Edwards. An avid bike rider, whole foods advocate, and registered nurse, Patricia has a long career as an employee health advocate; she has spent time as an occupational health and safety specialist, an emergency response/EMT instructor, and a manager of employee health services. Patricia joined Garver with an agenda—she wants to see people improve their health, manage their stress, and become active participants in their own health journey. "With daily incremental applications of positive nutrition, physical activity, and stress reduction techniques, you can grow younger and positively affect your quality of life," Patricia explains. Hiring a wellness director at an engineering consulting firm is unique to the industry, but it is just one of the many steps Garver has taken to develop a health-conscious employee culture. "We're working hard to provide a high-impact wellness program, and Patricia is a great fit with that vision," said HR Director Tatiana Herrington. “I've seen firsthand how providing health and wellness tools has helped shape an atmosphere in which our employees are excited to take responsibility for their wellness and encourage each other to live well-balanced lives." Though she may take part in group bike rides and lead group walks, Patricia's main focus is supporting individuals who need an advocate in their corner and an accountability partner; she explains, "I want to find out your interests and your individual challenges to health improvement. I believe that, by working together, we can find our individual wellness niche and live younger and healthier lives."